Interests - Playing with his brother, computer/playstation games, watching DVDs (Mr Bean, Pirates of the Caribbean), trampoline, football, colouring, music, telling jokes and making people laugh! Dr Who, Top Gear, The Simpsons and Lego. We are very sad to announce that Jack passed away on the 23rd of July 2008, with his Mum, Dad and brother Joe at his side. In November 2003 Jack, aged 4, was diagnosed with Leukaemia. He showed signs of both ALL and AML and after further tests was treated with the AML protocol. Following his initial course of chemo his parents were told that he had not reached remission, the Leukaemia was more aggressive than first thought and that ultimately Jack would require a bone marrow transplant. He underwent a second stronger course of chemo which got him into partial remission and tests showed that his brother Joe aged 8 was a match, so Jack had a third course of chemo to get him ready for his transplant which took place in February 2004. Within one month Jack was able to go home and spent the next six months growing stronger, enough to go back to school and start leading a normal life. For two and half years Jack remained well, him and his family went on lots of holidays to France, Scotland, skiing and Disneyland in Florida. They had lots of fun times and Jacks sense of humour became cheekier and funnier and he made lots of friends at school as well. In August 06 Jack started having problems with his knees, originally thought to be an orthopaedic problem. However, following a bone marrow aspirate, his parents received the devastating news that Jack had relapsed. Again, he showed signs of both ALL and AML, and so he began an aggressive course of chemo to try and get him in remission so he could go onto to have a second bone marrow transplant, this time from an unrelated donor. Again the first course of chemo didn’t work so Jack underwent a different course of chemo following which he developed a life threatening fungal infection on his right lung. Jack was in hospital for 6 weeks where he was receiving drugs 24/7 just to try and get control over the lung infection. Miraculously he pulled through and went on to find out that he was in remission, however the lung infection had left him too weak to undergo the planned bone marrow transplant, so Jack was given a short course of chemo and his brother Joe donated more blood. For just over a year Jack underwent many regular bone marrow aspirates to check if he was still in remission. 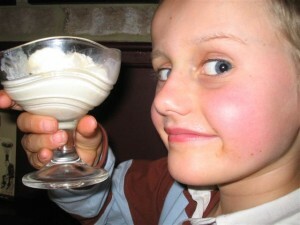 Then in February 2008 a bone marrow aspirate showed that Jack had relapsed. Before he started chemo for a 3rd time, Jack was able to enjoy his 9th birthday at home with his family and some school friends. 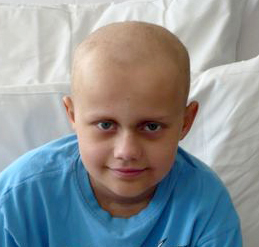 Then on 9th March 08 Jack was admitted to hospital to start treatment once more. He has been in hospital for almost 4 weeks now and if the next bone marrow aspirate shows that Jack is in remission he will be going forward with a 2nd bone marrow transplant. Jack’s parents are so proud of him, he is being an extremely brave and patient boy and deserves huge hugs and kisses (even if he thinks he is getting too old for them – 9 going on 19). There is no easy to let you all know but Jack passed away at 1pm today. Rob, Joe and i were all by his side and after a long struggle he passed away peacefully, although heartbreaking for us. His condition deteriorated since our update last week and last Friday during the night he became much worse, so Michelle, his consultant, came in during the night and Rob and I spoke to her about what we wanted should Jack become worse. As we had moved rooms for a course of treatment Joe was able to come in and stay as there was a room available next door where he could sleep with either me or Rob, although we were both with Jack mostly during the night and Joe slept. He seemed to improve slightly Saturday morning but was still requiring oxygen all the time. We tried one more session with the rubivarin which is where he had to sit in an ‘oxygen’ tent for 2 hours but just after an hour his breathing became worse so we stopped. Sunday we moved to the largest room on the unit so that we could all be together and that is where Jack spent his last few days, by a window and with plenty of room for more visitors. This is the hardest update I have had to write and I apologise to those of you who we have not managed to call but today has been extremely emotional as will the next weeks, months and years no doubt be. We will be going back to the hospital tomorrow to see Jack and from there will be starting funeral arrangements and will let you know when this will be. Just to let you know that Jack has taken a turn for the worse. He had a chest x-ray at the beginning of the week which showed signs of improvement so his steroids were reduced and antibiotics stopped. However on Wednesday his saturation levels (oxygen travelling around the blood) were dropping and he was requiring oxygen and he developed another temperature. Yesterday he had another x-ray which showed abnormalities again and the Doctors think it is viral; they’ve increased the steroids again and restarted antibiotics. He has been on oxygen overnight and is feeling much more breathless today. The Doctors are in their Friday morning ward meeting but Dr David has already been in to say it looks highly likely that we will be moved to another room to start a course of rubivarin treatment, which is the inhaler ‘tent’ treatment I mentioned in one of my previous entries. Jack’s condition is obviously very worrying so let’s just hope he responds to this new treatment. I just wanted to let you all know that Jack has made a huge improvement over the weekend and is amazing all the Doctors and Nurses again! His lungs are sounding much better and he is very much his old self and he has even been eating a bit. He’s been asking when he can go home but as he is still on lots of IV drugs, steroids and ‘food’ the Doctor explained yesterday that it might still be a while before he can go home. He also still has a rumbling temperature and they’re not sure why but today is the big ward meeting so no doubt we will be given a plan of action for this week later on today. Joe did his sponsored walk on Friday and was suffering from aching legs but is extremely happy as he raised over £500. Here’s to a better week with no more problems along the way! A lot has gone on since our last update. Jack had been having a constant temperature for a couple of weeks and the endoscopy that was planned, and then decided was unnecessary, was back on again for last Thursday but the machine broke down, so it was cancelled. The theatre team were then going to try and squeeze him in on Friday but again it never happened, so for 2 days he was nil by mouth (including drinks) for the morning! Over the weekend he progressively got worse with his temperature rising and paracetomol had hardly any effect and various different rashes developed over his body. On Sunday the Doctors changed his antibiotics and an endoscopy was planned for first thing Monday morning. As Jack’s platelets (clotting agent of the blood) were low he was given a platelets transfusion first thing Monday morning to ensure he would be ready for theatre. As the transfusion ended he woke up coughing and saying that he couldn’t catch his breath. Jess, the nurse looking after Jack, got Dr Urmila who felt that this was an acute allergic reaction to the platelets even though Jack had been given paracetomol and piriton to cover him for this. Straightaway he was given hydrocortisone (a steroid) and put on a nebuliser (inhaler). It was decided at that point that Jack was far too unwell to undergo an anaesthetic so the endoscopy was cancelled. He also had to have a chest x-ray and was sent for a CT scan of his chest at midday. The x-ray didn’t show anything but during the afternoon we were told that the CT scan had shown abnormalities on his lungs, which the Doctors felt weren’t fungal but viral and as Jack has been tested positive for a few viruses they were unsure which one had caused the inflammation on his lungs. He settled down throughout the day, again his drugs were changed and steroids added in as the Doctors were almost sure that he was also suffering from graft versus host disease in the lower gut. With steroids on board Jack was expected to respond much better than he actually did, as even though his temperature had come down and his diarrhoea had settled, the Doctors were still concerned that he was requiring oxygen now and again and that his breathing rate was fast. So, on Wednesday, Dr Colin listened to his chest and ordered another chest x-ray as he was concerned. The x-ray came back confirming Dr Colin’s fears that Jack has an established form of pneumonia on his lungs. He also got virology to run further tests on samples Jack had sent from his nose and these showed that parainfluenza 3 was still rumbling around in his body and that this could possibly be the main cause of the infection on his lungs, along with possible graft versus host disease irritating it. Jack also has CMV and adenovirus so with all of these viruses put together they are battling away in his body and with all the treatment he has had to undergo over the past four and a half years his immunity and body tissue is extremely fragile and just unable to deal with all of this. One of his drugs was changed again yesterday and he was also started on IVIG which is an antibody Jack which he will receive 3 times a week in the hope that it will help Jack’s body to fight back. The plan at the moment is to keep an extremely close eye on Jack’s respiratory rate and SATS levels (oxygen levels around the body). If they deteriorate then he will be moved to another room on the unit where he will be treated with rubivarin for about a week depending on how well he can tolerate it. This treatment involves him spending 2 hourly sessions 3 times a day in what I can only describe as an oxygen tent where he will be given the rubivarin which he will be inhaling. This is not a very nice form of treatment and can be quite scary to a young child, so we have explained to Jack that this could happen as we don’t want him getting distressed if things start happening quickly. He is already feeling extremely down and worried; he is desperate to get home and at the moment he just can’t see when that will happen and basically feels that he has nothing to look forward to. The next few days are going to be very worrying but all we can do at the moment is get Jack through this without showing him how anxious and stressed we actually are, as he is always looking at us for a reaction when the Doctors are talking to us. He is very switched on when it comes to people’s moods and how people are acting around him. Joe has been feeling the strain lately as well and has been run down. He had a couple of days off school as he had an upset stomach at the beginning of the week and now has a bit of a cold about him. He hasn’t been in to see his brother this week although they have spoken on the webcam a little. He doesn’t know about what has been happening with Jack yet as we have not wanted him going to school worrying all day. He has his sponsored 5 mile walk tomorrow which he is looking forward to as he has quite a good amount of sponsors. We are hoping he will be OK to come and see Jack at the weekend so I’ll probably speak to him tomorrow night when I get home. Thank you to all the Post Pals who have been sending Jack post over the past few weeks and also to the Post Pals team for his very impressive Captain Jack Sparrow helium balloon. Well we’re into our 7th week now (day 48 and 39 days post transplant). Last week we really thought Jack was on a roll and we were getting nearer to taking him home as he was really trying to eat, the IV ganciclovir for CMV had been stopped as Jack’s levels had remained stable, and he was managing a couple more oral medicines. Then last Thursday he developed yet another temperature causing his sickness to become worse so he was put onto ‘1st line’ antibiotics which covers a possible line infection. Jack had also developed a few mouth ulcers so he had to have his mouth swabbed for tests to be carried out. Over the weekend his CRP (infection indicator) slowly started rising and he has been requiring 6 hourly paracetomol to control his temperature and regular anti-sickness to help him through. Over the weekend he was started on ‘2nd line’ antibiotics which always causes Jack to have diarrhoea and at this point Jack was feeling pretty fed up as he saw this as a huge step back. On Monday the doctors decided to restart IV anti-fungal in case the fungal infection on his lungs had kicked off again and ordered lots of different tests to be ran on Jack’s blood as they want to get to the bottom of what is causing Jack’s temperature. Some of the tests have come back normal including the one for CMV which shows it is still active in Jack but the levels are unchanged. Michelle, Jack’s consultant, thinks the temperatures could be caused by the donors bone marrow battling with Jack’s and as he had developed diarrhoea an endoscopy (small operation under anaesthetic where they stick a tube down the throat to take a sample of the gut lining) was planned for tomorrow to see if Jack had developed graft versus host disease in his gut, but as his diarrhoea has settled right down over the past day it has been cancelled which is a relief. Michelle is now thinking about putting Jack back onto MMF (anti-rejection drug) to see if this helps. I think until we know what is causing these persistent temperatures we won’t be going anywhere but Jack is determined that he is going to get home soon! On a different note if you would like to get a feel for how life is up on the BMT unit and how it is for people going through a bone marrow transplant, then tune into HTV West tonight (channel 3, 6pm). They are running different stories each night this week as on Friday it will be 60 years since the NHS started. Tonight they are running a story on Ryan, a young guy who has been battling leukaemia. He was discharged from the unit a couple of weeks ago and is enjoying life back at home with his family. Joe will be doing his sponsored walk next Friday (11th) so fingers crossed. Jack had a pretty good week last week, he still had a grumbling temperature throughout the week but his shakiness settled down and he started eating small amounts throughout the day. Jack went for another CT scan of his chest on Thursday which showed a small sign of improvement with regards to the fungal infection. This was encouraging and a couple of ‘snot’ tests had showed that the paraflu was clearing – one more clear sample today will mean that Jack is completely free of the virus (yesterday’s sample got lost in transit!) This will also mean that Rob and I might finally get to use the parent’s kitchen after over a month of being ‘banned’! We had a bit of a blip last Friday morning – Jack was still getting a high temperature throughout the week, mainly on an evening when he was tired. He slept really well during Thursday night but awoke feeling really unwell, sleepy, shivery and with a rapidly increasing temperature. This happened literally within 45 minutes of a nurse accessing Jack’s lines to take bloods and administer drugs so the most likely cause of these symptoms appeared to be a line infection. The doctor decided to start Jack on antibiotics to treat a line infection, but as you can never assume just one reason for a bone marrow patient becoming unwell, Jack was also sent for a chest x-ray as his breath sounds in his lungs were a bit crackly. He was also sent for an x-ray on his sinuses as he had been so bunged up for quite some time and they wanted to make sure there wasn’t an underlying infection there as well. Another reason for the rise in temperature could have been that Jack’s CMV levels had increased slightly, so he was started on ganciclovir which is an anti-viral treatment. CMV is a viral infection which most people would have had without realising it. Jack was CMV+ before his transplant but his donor was CMV- so it was highly likely that CMV would be reactivated in Jack which could cause problems if untreated. Jack slept pretty much all morning but by late afternoon he was sat up in bed feeling much better and by the end of the day he had managed to eat something and his temperature had come down. Over the weekend there was some concern about Jack’s liver function as one of the levels tested had been increasing throughout the week and had become quite high. Colin, one of the haematology consultants, decided to stay calm about it though as Jack was showing no obvious symptoms that there was a problem, in fact he was extremely well in himself and in good spirits. Also, Colin couldn’t feel that Jack’s liver was swollen and experience had taught him that these things can sometimes work themselves out rather than jumping in with further tests and treatment too early. Thankfully it looks like Colin may have been right as Jack’s levels have slowly started to decrease this week. They also ran a chimerism test on Jack’s blood last week which is a special test ran over 2 days to ascertain how much of Jack’s blood is being produced from the donor’s marrow. I am happy to say (I don’t know the exact details) that one part of the test is showing 100% donor and a couple of other parts is showing figures up in the high 90%’s so they’re really good results. Yesterday Jack was taken off the anti-rejection drug (MMF) as he is showing no signs of graft versus host disease (GVHD). We just have to watch and wait now to see if Jack gets any symptoms as the doctors like to see a small amount of GVHD as this indicates that the donor’s marrow is fighting off any leukaemia cells that may appear. If Jack does not develop GVHD then there are things they can give Jack to encourage signs of GVHD but at the same time controlling it otherwise it can cause huge problems for the patient and even be life threatening. This week Jack has been told that the only thing keeping him in now is his eating and getting him off IV drugs and onto oral medicines which they are gradually starting to do today. On Monday Jack told Mo (who cooks the food) that he was going to start eating more this week as he really wants to get home – it made her day. So for the past couple of days he has had either curry or prawn flavoured supernoodles accompanied with a slice of garlic bread for breakfast, dinner and tea! He is quite determined this week to do better each day and is trying other things to eat but noodles seems to be the food that he can actually taste and enjoy – oh and onion rings! Joe has spent quite a bit of time with Jack although it’s like being at home as Joe plays on Jack’s Xbox and Jack either watches him or watches videos on UTube – boring for me and Rob but there’s not much else for us to do in here apart from read, which just makes you want to fall asleep. Rob is usually battling with Jack over the laptop – you can guess who wins. Fingers crossed Jack could be discharged pretty soon – he is so looking forward to seeing Ruby and wants us to have a barbecue. I think Jack is going to have more energy than me and Rob. We’re feeling pretty exhausted and emotionally drained so some time at home would be good, although we will be on tenterhooks to start with as it’s quite daunting taking Jack home even though we know that the doctors are only a phone call away and we’ll be visiting daybeds 3 times a week to keep a close on how Jack is doing. One last thing – Joe is taking part in a 5 mile sponsored walk at school on 11th July to raise money for Leukaemia Research and The Willow Foundation (charity providing special days for seriously or terminally ill young adults). Jack’s temperature remained high last week and he was starting to have bouts of shakiness which he couldn’t control and was extremely agitated and unable to sleep. He was also still having bad diarrhoea and sickness which added to his sleep problem. Jack’s bouts of restlessness gradually became worse and it was thought that maybe one of Jack’s antifungal drugs (voriconozole – one of the side effects – sleeplessness) was reacting with the anti-rejection drug (cyclosporin – pretty toxic and can do funny things to the brain!). The Doctors witnessed Jack having one of his shaking fits during their rounds on Wednesday and between us we agreed to stop the voriconozole as Jack’s CRP was coming down, his temperature was still a bit high but better and his air sounds were improving. It was also decided to reduce the dose of cyclosporin as tests showed Jack had high levels in his system. On Thursday Jack was slightly better but he was still having episodes of the shakes, diarrhoea and sickness. His cyclosporin levels were still high even after reduced doses so his evening and early morning doses were omitted. On Friday Jack’s consultant Michelle came to see us at the same time as Colin who was the consultant on BMT that week. Jack had improved greatly but when Colin asked him to hold his arms out there was still some shakiness there. He wasn’t happy to start Jack back on cyclosporin as he had had a patient who had gone back on it after having similar episodes and ended up with slurred speech, so between Colin and Michelle they decided to stop the cyclosporin altogether, as Jack hadn’t started showing any signs of graft versus host disease and he was also starting to get a good blood count meaning the donor’s bone marrow was engrafting. Jack was then started on an alternative anti-rejection drug which Colin and Michelle assured me was not a trial and had been used on many patients who had reacted to cyclosporin. Friday night was the most restful and best night’s sleep Jack had had in ages. He got up a few times for the toilet but he wasn’t shaking as much, moaning and talking in his sleep, which he had been doing. His temperature stayed down all night as well which also helped. On Saturday he was much better but was tired and feeling down as he was really fed up with having diarrhoea, being sick and basically just wanting out of this room! He was still a bit twitchy throughout the day but that was expected as the cyclosporin would take some time to clear completely from his system. Today was a really good day. Jack had fallen asleep at 6pm on Saturday evening and apart from waking a couple of times during the night, he slept right through to 8am Sunday morning. He even sat up in bed making his Indiana Jones lego set which he just hadn’t been interested in doing during the past few weeks. When Joe and I got into the hospital he was full of it and so much more his old self. The day was spent playing Xbox games with Joe, listening to music, messing about and basically having a bit of fun and laughing, which none of us have done in quite a few weeks. Jack managed to stay awake all day but by 6pm was ready for bed and has been asleep since. I would like to say a huge thank you to everyone (family, friends and Post Pals) who have been sending Jack post. We don’t have much more space to fill in his room as we’re not allowed to put things on the walls but I have a folder for all the letters and jokes he gets so that he can look through them when he feels up to it. Another huge thank you for Joe’s post, he received some great birthday cards. Sorry to repeat myself but it’s very heart-warming to know that so many people are thinking of us. Forget Big Brother – Day 28 in the BMT Cubicle of Jack Banks (18 days post transplant). Last Tuesday Jack was sent for a CT scan of his chest to check for fungal infections – pretty stressful as he had to be taken on his bed through corridors across to the emergency scanner at the BRI. We covered him in blankets and he had to wear a mask to protect him from picking up any bugs along the way as his immunity at that point was zilch. The scan showed a small nodule on the right lung which could be fungal but as his CRP (infection level) had come down slightly the Doctors decided to leave his drugs as they were for the time being. Jack’s temperature started to rise and rise throughout the week and his CRP never changed much so another antibiotic was added and they changed his antifungal drug and added in another one. This made a big difference to his CRP as it literally halved overnight and has been gradually on its way down since. His temperature, however, remained high and was getting hard to control with regular paracetamol, so over the weekend he was given pethadine to help him through when he got really shivery and unable to relax. For the past couple of days Jack has been much brighter in himself and his mucositis has cleared up after some pretty severe vomiting bringing up blood as it affects the whole digestive system and lining of the gut. He has come off the morphine and now has to contend with relentless sickness and diarrhoea. He has also developed a dry, irritating cough which is probably to do with the parainfluenza virus he is carrying and has an extremely bloody nose. One of the antifungal drugs is causing him to be restless and unable to sleep and he was also given some GCSF to stimulate his bone marrow into producing more cells to help fight the fungal infection so that has caused some lower back pain. He looks quite different now to when he was first admitted as he is quite puffy in his face and has pretty much lost all his hair and some of his eyebrows and eyelashes, but he still has the same wicked sense of humour when he is feeling up to it. We found out at the weekend that Joe was allowed in to see Jack. The info we were given said no under 16’s in isolation, but that policy has changed and as Jack’s blood counts showed signs of coming up, we thought it was important for the boys to see each other as they usually spend so much time together at home and Jack definitely needed some cheering up and company nearer his own age. Joe’s birthday went OK at the weekend, I took him and 3 of his old school mates to Frankie & Benny’s (they all go to different secondary schools but stay in touch). Thankfully, my dad, Janet and sister Emily came along so that the boys could have their own table and I didn’t have to sit on my own! They all acquired a few helium balloons and were inhaling them to make their voices go funny. They all then came back to our house where they spent most of the evening in Joe’s room playing on the Xbox. Lloyd and Luke went back to Lloyd’s for the night and Ben stayed for a sleepover (I just didn’t have the strength to let them all sleep as they all stayed up all night when they stayed last year!). On Saturday they all spent the day at our house with strict instructions not to wreck the house or go on the trampoline at the same time. On Sunday, Joe’s actual birthday, he came in to see Jack in the morning and then went to the cinema with a school mate and then pizza hut. Monday morning all I got out of him was a few grunts so I guess the teens are kicking in already! That’s all I can tell you for now. The days are dragging, Jack is really fed up and wants to go home and Rob is developing cabin fever, but we just have to hang on in there for a bit longer. Things are going pretty much as they should be although it’s extremely tough going for Jack. He has really painful mucositis which is a side effect of chemo and radiotherapy; it’s not very pleasant as it’s ulceration of the mouth and digestive tract. He says it’s like having loads of nails in his throat when he swallows; he is on morphine which is helping a bit with the pain and makes him sleep a lot which is a good thing I suppose. He’s not speaking much as this also hurts but he is being really brave as he is still managing to take his oral meds. His CRP (infection indicator) has risen to 145 (should be below 10) and his temperature has been up for a few days but all this is part and parcel of the treatment and we are now into day 10 post transplant. The next few days are going to be the worst time when he really has no immunity at all so the Drs are keeping a very careful eye on him to see whether the parainfluenza gets any worse or if anything flares up on his lungs. He is on strong antibiotics and he has had a couple of chest x-rays which have been clear so that’s good. They bring a portable x-ray to his room as he is not allowed out of his room. Rob shaved Jack’s hair off the other day as it was literally coming out by the handful and irritating him as it was getting in his eyes, all over his T-shirt and bed – they keep clippers on the unit so we just sat him up in bed, shaved it off, showered him and changed his bed, all in under half hour as he had to be hooked back up to his drips which are going pretty much 24/7 – made Jack feel a bit better and he managed to stay awake long enough to watch Britain’s Got Talent! Rob and I are back into the old routine where we stay in with Jack every other night. We feel like Joe has been an abandoned child during the school holidays but he has either gone to his mates or stayed home playing Xbox Live where he can chat to his mates on a headset whilst playing games online with them – he’s getting to that age when he doesn’t want to be with us anyway and has enjoyed having a bit more independence. We’re trying to make some provisional plans for his birthday this weekend so hopefully he won’t miss out too much and have a good time. Thank you for the cards Jack has received and also to Post Pals for the ChemoDuck. Jack was impressed when he saw that it also had a wiggly (hickman line) fitted, I’m sure when he is feeling better he will be asking the nurses for some (needleless) syringes so that he can try it out. Rob had quite an eventful and tiring week last week as I ended up being ‘banned’ from the bone marrow unit. Michelle, Jack’s consultant, wanted me tested when I was at home to see if I had anything other than a cold and it turned out I had parainfluenza 3. Apparently this virus is everywhere at the moment but as people aren’t normally tested they just think they have a cold, so for me it wasn’t going to cause any problems but for people with no immune systems it can cause respiratory problems. So for the week of Jack’s conditioning and radiotherapy Rob stayed in with Jack and family visited and delivered meals that I had cooked for Rob as Jack was ‘barriered’ which meant he was unable to use the parents kitchen to avoid cross-infection with other families. Jack really struggled through the week as the chemo he had received was taking its toll. He also had to undergo radiotherapy twice a day and Jack spent the week feeling tired and sick which made it extremely difficult for him to tolerate any oral meds. This made him extremely down and upset that he had to go through all of this again. By the middle of the week Jack agreed to have a tube inserted up his nose which went down his throat into his stomach so that he could receive his oral meds and specially made up feeds. He found the procedure really hard and it took him a couple of days to get used to the feel of the tube in his throat and whenever anything was put through it he had an ice lolly as it made it easier to tolerate. On Friday Jack had his last two doses of radiotherapy and moved into his new room in the isolation unit. Prior to the move Rob spent many hours disinfectant wiping everything that was going with them and due to his persistent enquiries about which room Jack would get we ended up with the best sized room on the unit with a couple of windows and a shower – fair play to him! I had also sent in another sample for testing which this time showed that I no longer had the parainfluenza virus but I was still unable to go in as I needed to have 3 clear tests before being allowed on the unit – gutted! Jack was also tested for the virus and I was devastated when it came back positive – we’re not sure if he gave it to me as he had a cold first or whether I gave it to him but either way it’s another worry on top of everything else. On Friday evening Jack’s transplant took place and it went really well. My dad stayed in the hospital with Rob and I watched it at home on the webcam with Joe, Janet and Emily. It took just under 3 hours during which time Jack had to have 15 minute obs done (blood pressure, saturation levels and temperature). During the day I had been thinking about the donor wondering where his operation was taking place. A good amount was taken from the donor and as Jack only needed half, the other half is being stored in case it is needed for Jack at anytime in the future. On Saturday morning I went into the hospital to have samples taken from either side of my nose as if these came back clear then I would be able to visit Jack that weekend rather than waiting until after the bank holiday for further tests. Later on that day I found out that I was clear but the Doctor had stressed that even if I was clear I needed to be cough free and not sneezing, so as I was still coughing a bit I decided to stay away one more night and see how I was on the Sunday. Jack also had a chest x-ray done which thankfully came back clear so it was decided to hold off any kind of treatment unless he started developing more symptoms. Sunday I made it into hospital and Rob went home for a well deserved rest leaving me in charge! Disaster struck on the evening as Jack was really sick and brought his tube up from his stomach which meant it had to be removed. As he was so distressed and upset it was decided not to do anything that night and to fit a new tube the next day. On Monday Jack was really worried as he knew how unpleasant it was going to be to put another tube in and it took me and a nurse a couple of hours persuading Jack to have it done. He really wanted it done but just couldn’t handle how it felt when the tube went up his nose. He managed it in the end but as it was going down his throat he was retching and it came back up into his mouth so again it had to be removed. It was decided to leave it and we had discussions with the Doctor about what oral meds could be converted to IV and which ones he still had to take which Jack agreed to try. This seems to have worked so far this week and Jack has been doing really well. He has been started on antibiotics as he got a temperature a couple of evenings ago and his mouth has started getting sore today which is side effects of the conditioning treatment he received. His blood counts are dropping which will mean transfusions before long and he is obviously feeling sick and has no appetite but this is all to be expected. We can only hope that the parainfluenza virus doesn’t get any worse and watch out for any new problems that can occur along the way. Rob and I are finding it hard having to watch Jack go through all of this again. It’s an extremely stressful and emotional time for us but we have no choice and have to keep going, not just for Jack but for Joe at home as he misses his brother. It’s his 13th birthday a week Sunday but he understands that it’s not going to be how we would have liked it to be but we’ll spoil him as best we can. He also had to have 2 teeth out today and considering his fear of needles he has had it done and is now nursing a very numb mouth. Because of infection control rules on the unit, if you do want to send Jack post, then can I ask that you send something that can be laminated which can be done by the play lady. This way it can be disinfectant wiped before it enters Jack’s room. It would be great for him to receive a few more cards or maybe drawings or messages as he isn’t receiving much at the moment and it might help lift his spirits. We thought we could put them in a folder for him to look through when he feels like it. We are also able to put some up in his room so I’ve been busy trying to draw so that his room looks a bit more cheerful for him. We made it to Legoland and what a fantastic day we had. The weather was great and because it was a school day there were no crowds and the boys were able to go on rides as many times as they wanted. Even though Jack had a cold, he never let it get to him and he enjoyed every minute. Rob and I got absolutely soaked on one of the rides as the boys wanted to go on their own so we both had to fit into a little dingy together. The dingy was then lifted up on a ramp and released down a water slide, but because we were so heavy, the dingy was going so fast it almost capsized and the water was just going over us. We could hardly get out at the end because we were laughing so much. After Legoland Jack decided he wanted to spend as much time at home as possible which we did. Then on Thursday he had a CT scan on his chest and we visited BMT for him to have bloods taken, fill out some more forms and he was also started on an antifungal drug through his line which he will receive daily whilst he is in hospital. On Friday we took him in to start his conditioning which started with an 8 hour infusion of campath. He was then started on hydration during the night in readiness for his two days of chemo. He also had to start some new oral meds to protect his liver and kidneys which he dealt with extremely well and he also had to have a wee every hour throughout the day and every two hours throughout the night to ensure his kidneys were being flushed of toxins from the treatment. Unfortunately I fell at the first hurdle and became unwell so Rob has stayed with Jack since admission. I managed to go in on Friday but started developing a dry cough which has since developed into a chest infection. I am on antibiotics so hopefully I will be able to see Jack in a few days. The plan now is for Jack to start 4 days of radiotherapy tomorrow morning. He will be having 2 doses a day, early morning and late afternoon, where he has to lie still on a bed for 10 minutes in a room on his own. It would have been possible for Jack to come home for a few nights but as I am unwell it’s been arranged for Rob and Jack to stay at Sam’s House for a few nights which is where bone marrow transplant patients stay who don’t live in Bristol. It’s based at the old Children’s Hospital, so not far to go. Being at Sam’s will make it so much easier getting Jack to hospital for 8am as he is starting to feel sick and if he was at home we would have to leave so early because of traffic, so its a blessing really. Jack is really excited about staying there as he has visited the house before. He told my dad today that he wants to play pool tonight and there is also a large playroom and lovely outdoor play area. There will also be another boy Jack’s age staying there as he started his conditioning the same day as Jack and will be having his transplant on Friday, but as they’ve been in cubicles in hospital they haven’t actually met yet. Jack was feeling pretty fed up yesterday as Joe and I were speaking to him on the webcam and he just wanted to be at home with us, so being told that he will be staying at Sam’s House has lifted his spirits and given him something to look forward to. It will also give Rob a break from beeping machines all night. Thank you to Post Pals and those people who contributed towards the cost of our day at Legoland. The boys finished off a lovely day with a visit to the Lego shop. Thanks also to the lady who let us have her brittrips codes which meant we could get in for half price! It was extremely kind and generous and it’s very heart-warming to know that people are following Jack’s story and are wishing him well as he moves towards transplant. On Tuesday we went into hospital early for Jack to have his bone marrow harvest. He was really well when we took him in and full of beans. The operation lasted an hour and a half and when Jack got back he was very groggy and sore. He slept most of the day during which time he developed a high temperature. He also needed some blood as they had taken quite a bit of his bone marrow. So, as we expected, we were admitted to the bone marrow transplant unit overnight. Jack’s temperature continued to rise the following day so by the afternoon it was decided to start him on a course of antibiotics, as his CRP (infection indicator) had also gone up a bit. We also had to take him for his TBI (radiotherapy) test dose at the adult oncology centre as he has to have 8 doses 4 days prior to his transplant. He has never had this done before so was very anxious which didn’t help when he was feeling so rotten and had a temperature. He dealt with it really well though and laid still on the bed whilst they measured him to make sure they got the dose right. Jack stayed in until Friday lunchtime when they said we could come home as his temperature had settled and his CRP had come down. They were still keeping his bed as that will be where he will be starting his conditioning prior to transplant, so if there are any problems we just take him straight in. He has been ok over the weekend although has now got a bit of a cold. We are, fingers crossed, taking the boys to Legoland tomorrow as this will be Jack’s last chance of getting there as it is closed Tues/Wed and he has to have a CT scan on his chest Thursday and be officially admitted for his transplant. We will then be able to come home overnight and then go back early Friday morning to start his conditioning chemotherapy. His actual transplant will take place on the 23rd when he will be moved to isolation and Rob and I will be his only visitors. We have managed to get a weekend away in Cornwall as Jack is now on an oral anti-fungal rather than having it through his lines 3 times a week. It was great being away – the forecast was rain but it turned out to be sunny and warm and as Mevagissey was quiet it meant we were able to eat out without worrying that there would be too many people around. It’s one of our favourite places to go and we spent a week there for New Year, so we know it well now and the boys love it there. We even managed to rent a cottage at the last minute which allowed pets, so Ruby the dog came too! Henry (Jack’s friend from Ward 34) and his family came to spend the day. The boys and Scarlet (Henry’s sister) did some crabbing, then we spent the afternoon on the beach followed by a couple of nice cold beverages in The Sharksfin overlooking Mevagissey harbour – bliss! Jack is now getting some home tutoring which he complains about but enjoys really. Rob and I took him to Cheddar today as he wanted to see the caves and buy a toy! During our visit, I had a call from David, medical co-ordinator at the hospital, to confirm that Jack’s donor will be going into hospital on 23 May, which will also be the day Jack receives his transplant. Before this Jack will need to have conditioning chemotherapy which will start on the 15th, so we have a couple of weeks at home in between various tests. Tomorrow morning we have to be at the dental hospital for 8.30am followed by daybeds for various blood tests and then a lung and respiratory test at 1.30pm. We will also need to catch up with David to confirm other appointments. It is also provisionally planned to harvest Jack’s own bone marrow next Tuesday and at the same time they will carry out the test to check that he is still in remission. Jack may need a blood transfusion after this and it may also mean a night in hospital depending on what time he goes to theatre and how well he is on recovery. So it’s full steam ahead now we have a date, but we are hoping that we may get a day at the end of next week when we can take the boys to Legoland, as Jack is really keen to go there again and thought he wouldn’t be able to go until he is better. Jack had his bone marrow aspirate on Wednesday and we found out yesterday that he is in remission, which is the result we were hoping for, so that’s Jack’s first hurdle over with. We spoke to Michelle, Jack’s consultant, who confirmed that there is a 23 year old male donor lined up who is on the Anthony Nolan Trust which means he is living in the UK. All we hope for now is that he hasn’t had any piercings or tattoos done recently! Michelle has decided on this option rather than the cord blood, as this means that they can go back to the donor should they need to, but with the cord blood once they used that then that would be it. The donor is a 9/10 match which is good but Jack is CMV+ and the donor is CMV-. CMV is a virus that 80% of the population get without even knowing it. Jack’s CMV level will be tested regularly so that if he starts to show signs of the virus he will be given drugs to deal with it, as the donor marrow won’t have any antibodies to fight it. Obviously if we had a few donors to choose from then they would have used a donor who was CMV+ but we don’t have that option. We have a provisional date of 16th May for the transplant. This means Jack will be admitted to the bone marrow transplant unit on the 8th to start his conditioning. This is a course of intensive chemo to completely wipe out all his bone marrow, which is why he will then have to go into isolation, as he will have no functioning immune system for quite some time. Before all this starts though, Jack will need to have a ‘work up’ which means CT scan on his lungs, echo on his heart, x-rays, visit to the dental hospital and they will also ‘harvest’ his own bone marrow now that he is in remission which will be the same procedure as Joe underwent when he was Jack’s donor. This is just in case Jack completely rejects the donor’s bone marrow and he will need to have his own back – something we don’t want to think too much about. Once there is a definite date for the transplant then we will have a long meeting with Michelle to run through everything, this will include all the side effects of the treatment which from what I remember last time was scary. I’ve been asked to consider doing a video diary of Jack going through his time on the bone marrow unit as part of a week long report that HTV are running in June or July on the NHS, as it’s 60 years this Summer since it began and as the bone marrow unit at the Children’s’ hospital is seen as one of the best in the world, they want to cover a story of one of their patients. Part of me wants to do it so long as they portray Jack’s story correctly, but I know that it’s going to be a difficult time so I think once we have the meeting with Michelle and I get to speak to HTV as well then I can make my mind up. Jack isn’t keen although he originally thought it would mean someone coming in and filming him when he’s not going be at his best, but I’ve explained that it’s not going to be intrusive at all, I’ll just be given a video camera to use whenever I want to. It just helps towards raising awareness of what a bone marrow transplant involves and to hopefully get more people to register as donors. For now though Jack is doing brilliantly, his neutrophils are up to 0.73 which is the highest they’ve been in over a month. He looks well, is eating well and is in good spirits. Joe is back at school next week so Jack is going to be bored but I’ve told Jack that I am going to try and sort out a home teacher on Monday – much to his disgust! Jack has been doing really well over the past week, he continued on overnight leave until Wednesday when we were officially discharged from the ward. His neutrophils hadn’t quite reached the level that our consultant wanted to see, but as all his other blood counts were rising she was confident that his neutrophils would come up, plus he was so well in himself, eating and drinking and noticeably putting weight back on. So, for the first time in about 5 weeks, we had a day off from being in hospital. Jack still needs to go into daybeds 3 times a week for his antifungal drug and for bloods to be taken. On Friday his neutrophils had risen from 0.13 on Wednesday to 0.44, almost half of 1 – doesn’t seem much but it was enough to build our hopes up that his immune system is on the up. We are still unable to take him anywhere unless it’s outside as places are so busy especially with it being the school holidays. He is very much enjoying being home though and Joe is glad to have us all at home as well. At bedtime last night Jack said that when he’s at home he just feels normal and it’s like he doesn’t have leukaemia. He said that when he has his transplant, it’s like digging up an old plant that is no longer alive and planting a new one which will work, which is how he sees his leukaemia. His bloods not working so he needs some new blood. Thank you to Joe and Jack’s post pals for sending cards and gifts. Helen, I’m afraid they had no restraint with the dated presents you sent, they were all opened within 5 minutes! We have managed to get home on the afternoon with Jack for the last week. He remained on antibiotics and developed some nasty mouth ulcers which were treated with a mouth rinse and spray – mouth ulcers are yet another nasty side effect of chemo. On Thursday it was decided to stop the antibiotics as nothing had come back on his line cultures, his CRP was coming down, his temperature was stable and he was much better in himself. He asked the Doctors on Thursday if he would be able to sleep at home, so last night was his first night home in 4 weeks. His neutrophils are still zero, but looking at the rest of his blood counts, they don’t think it will be too long before we see something happening and as he is so well in himself, they were happy for him to have ‘overnight leave’. This means we’re not actually discharged and they keep his bed in the hospital in case he becomes unwell at home and we have to take him back in. This way we don’t have to go through the procedure of going through A&E and antibiotics can be administered much quicker. So he slept in with me and, just like the nurses, I set my alarm so that I could check his temperature every 4 hours, although I never needed it as I was awake anyway. I think I’m now programmed for 4 hourly obs! He is still sleeping but as we have to take Jack back into hospital mid morning for bloods to be taken and a review by a Doctor, we had better get him up as Jack thinks he is a teenager and just wants to lie in bed all morning and takes ages to get going! Jack has really enjoyed being back at home this week, we’ve taken the dog for a couple of walks (only short!) and he has been out in the garden bouncing on the trampoline and playing football with Joe – you’d never think that 3 weeks ago he had undergone some pretty heavy chemo – he is just unbelievable. Rob has had to shave his hair as it is now falling out pretty quickly. It did bother him that he was going to lose his hair again but he has some pretty wicked beanies and baseball caps and when he has a hat on he just looks like any other normal 9 year old – or a dude as Jack likes to think! Our consultant, Michelle, mentioned yesterday that they may do the bone marrow aspirate at the end of next week to see if Jack is in remission. It’s not something we are looking forward to but has to be done to see how well this round of chemo has worked. Keep everything crossed for us. Well Jack has been in hospital now for 3 weeks and there are still zero neutrophils, but it’s paid off so far as he has had time to recover from the chemo and his eating and drinking improved so much he put a kilo back on within a week. As he had been doing so well and his tummy had settled down we agreed with the Doctors that we would start taking Jack out for a little while each day. We took him to the play centre session on Wednesday morning (they shut the main playroom to the rest of the hospital and open it for oncology kids) which meant he was able to play outside in the garden area. He felt tired after but it was good for him to be out of his room for an hour. On Thursday we met my dad and Ruby over at Blaise so he could see the dog as he has really missed her. We stayed for a couple of hours and Jack managed to eat two sausage baps! Friday wasn’t such a good day as Jack’s CRP level (infection indicator in the blood) was 10 (needs to be less) which indicated that he could be developing an infection. He was also really tired and couldn’t be bothered to do anything, although this could have been caused by his Hb level dropping (bit of the blood that carries oxygen around the body). Then his temperature started going up and down so we had to monitor it regularly because if it went to 38 he would have to start a course of antibiotics. On saturday Joe was able to come in and see Jack as his cold/cough has gone. Jack was really pleased to see him but he was feeling pretty much the same as Friday. His CRP level had increased to 18 and his Hb level to 7, so again we monitored his temperature all day and the Doctor ordered some blood for a transfusion. The transfusion should have been done during Saturday as it takes 4 hours and it would then mean that Jack should feel well enough to be able to come home for a few hours on Sunday if his temperature stayed. Everything seems to go to pot during the weekends though and the blood never arrived in time for the day shift to get it going. They never give transfusions during the night in case the patient has a bad reaction and so Rob was promised that it would be started at 8am this morning. So, at 8am this morning, Rob went to speak to Jack’s allocated nurse to see where the blood was. She found out that it was still at the BRI so sent a porter over straight away to get it and got it going by 8.30am. Bloods are always taken from patients at 6am so that results are back in time for the Doctors to do their rounds. This morning Jack’s results weren’t so they were unable to check his Hb level before his transfusion started. When it did finally come back, his Hb level was above 8, so rather than him having 2 bags he only had 1 which meant he was finished much earlier than planned. His CRP level is still up but as he felt much better in himself and his temperature has remained down, he has been able come home for a few hours. He is now upstairs playing with Joe and every now and then I hear a cheer as one of them wins whatever Xbox game they are on – happy days! Jack has been extremely patient to have coped with being confined to a hospital cubicle for 3 weeks but he is extremely happy to be at home, even if only for a few hours. It’s been an extremely long 12 days since Jack was first admitted onto the ward. Jack developed a high temperature within the first couple of days into treatment and was very low, but since the 5 day course ended last Thursday, he has improved a little bit each day and for the last couple of days we’ve got the old Jack back. We were given the impression over the weekend that Jack was going to be allowed home on Monday, but by then Jack had zero white blood cells and neutrophils, which means no immunity to anything. We were strongly advised by the new haematology consultant (who has been covering the ward this week) for Jack to remain in hospital as the chemo he had is an aggressive treatment and because he has received previous chemotherapy treatment and a bone marrow transplant which means his immune system has been compromised. Rob and I completely agreed with her decision, as past experience has shown that once there are zero neutrophils Jack will develop a high temperature and we then have to get him into hospital within an hour and on antibiotics. The trouble is that when you have to go via A&E in the middle of the night it can be a minimum of 3 hours before they start antibiotics, which in Jack’s case at the moment could be too long and so we are more than happy for Jack to stay put. It is frustrating for him though as he is now feeling a lot better, but we are doing our best to keep him occupied and he is spending an hour with a teacher each morning and gives the play lady instructions of what he would like her to bring him to do during his time with her. His appetite is picking up slowly but he still has diarrhoea. Samples have come back clear so it’s the effects of the chemo and antibiotics he has received. He is also doing extremely well taking his oral meds as this caused huge anxiety for Jack at the beginning because he felt so sick, but with anti-sickness on board and no more chemo he is managing them really well. We now have to wait for Jack’s neutrophil level to rise to at least 0.3 which may take some time and then once his blood counts have risen enough he will undergo a bone marrow aspirate to ascertain whether or not he is in remission. If he is in remission then we will go onto bone marrow transplant, which amazingly a year on from looking last time when there was no match available, there are now 2 possible donors. One is a 9/10 match who is in the UK as they are on the Anthony Nolan Trust and the other is the cord blood from a baby which is in the States. Thanks again to all those people who have been sending him and Joe cards and gifts. Have a good Easter everyone – Jack met the Easter Bunny yesterday as he was visiting the Children’s hospital! Jack had his lines in last Friday together with an aspirate and a lumber puncture. The line was fine, but unfortunately his lumber puncture gave him a great deal of pain for a few days which made him feel very low. This was before we even got to the Chemo, which we were hoping he would go into feeling better this time around. He started Chemo on Sunday and he became very sick quickly. On the Monday night he developed a temperature which lasted for a few days. Tuesday night he had very bad diarrhoea all night and into Wednesday, so we were barrier and have not been able to leave the room. Jack’s Doctor told us today that because Jack’s marrow is so flat, she does not want him to go home yet for fear of his health, so we are not sure when Jack will be coming home. Jack had his line in on Friday and during the procedure a bone marrow aspirate was taken, a lumbar puncture to see if there was any leukaemia in his spinal fluid, and also some chemo was injected into his spinal fluid as a precaution. Jack was really worried about how sore he was going to feel with having his line in but it wasn’t too bad when he woke up. The following day though he started complaining of back pain. We were due in to the hospital for a dose of GCSF which was to kick start his treatment today, so I rang the ward and we took him in earlier than planned. David, one of the Doctors, examined him and said that the lumbar puncture had probably irritated some of the tissue around his spine. He was given some pain relief and with rest it should hopefully ease within a few days. This unfortunately put Jack on a bit of a downer but once the pain relief kicked in he seemed a bit happier. He had a good nights sleep and woke up pretty bright this morning, but as the morning progressed his back started hurting him again and he started feeling really sick, which must be down to the chemo he had received on Friday. Anyway, we needed to be on the ward by 11am so we set off with him feeling really sick and having had no pain relief, as he just couldn’t face taking it. We were almost there when he threw up (thankfully due to experience we had some hospital sick bowls ready and waiting) but by the time we got to the ward he looked awful. We got him settled in his bed and he was given some anti sickness and pain relief through his line and was also put on fluids as he was obviously dehydrated. Then his first round of 5 days worth of chemo started at 1.30pm. By the time I left to come home this evening, he had devoured a burger and chips, had started reciting catchphrases from Little Britain and was showing my sister, Emily, his TecDeck skills (mini skateboards and ramps for those who are not in the know!) so thankfully he was feeling much better. He has another dose of chemo tonight which will take 4 hours to give and with this one he will need eye drops every 2 hours to stop his eyes drying up, thankfully they now have an eye ointment for overnight. Rob has to get him through taking his oral meds which are always a struggle, but we are trying to encourage him to take some in tablet form as some taste pretty disgusting. Joe was going to come in this afternoon but has a really sore throat and the start of a cold so he went to a mates for the day playing computer games and learning to do back flips on the trampoline! I’ve dosed him up with calpol tonight and hopefully he will feel much better after a nights sleep. He has been coping really well with all of this, but when he first saw Jack with his lines back in he went up into his bedroom and had a good cry. It’s so tough as he knows that family life is going to be hard going for a long time again and he is at an age where you can’t lie to him about what is happening to Jack, he knows the score. It would be really good for Jack to receive some cards. I know I asked this last time and we ended up with his room being covered, but it gives him (and me and Rob) a real boost and Jack then knows that people are thinking of him and wishing him to get better. It was confirmed last week that Jack has relapsed. He had his planned bone marrow aspirate on 20th February and even though our consultant, Michelle, couldn’t see anything through the microscope, the MRD (minimal residual disease) test they run at Southmead was showing 8% which at that percentage Michelle felt that she should have seen something. Rob, Joe and I were gutted but we decided not to say anything to Jack as we didn’t want to worry him until it was confirmed and it was extremely hard to keep things normal and that included letting Jack continue on at school. We then had to wait 6 days until the following Tuesday (26th February) when they did another bone marrow aspirate and Michelle rang me that evening to say that she could now see something through the microscope and that the MRD was now showing 20% disease which was quite an increase in 6 days. As it was Jack’s birthday yesterday, it was agreed that no treatment would commence until the end of this week, as it was very important to let Jack carry on with his birthday plans. Rob and I decided to tell him the day after it was confirmed as we felt that it was unfair to leave it until the day after his birthday to drop the bombshell. We knew that Jack would be upset but that also his excitement over his birthday would keep him going and for the past week we have done as much as we can to make Jack’s birthday special. This afternoon we have to take him into hospital for an ultrasound on his neck as they need to decide which side to insert the line as both sides have been used and we need to make sure none of his veins have suffered through previous treatment. Tomorrow we then have to be in early for an echocardiogram on his heart, followed by a CT scan on his lungs and then up to oncology daybeds for various blood tests, as he may need a transfusion if his blood counts have dropped prior to surgery on Friday, when they will put in his line and also do another bone marrow aspirate to ascertain how much disease is there now. We will also be admitted to the ward on Friday and then 5 days of intensive chemotherapy will start on Saturday. At the moment Jack is extremely well in himself and very much full of beans which makes this so difficult for us to deal with. He does have some bruising on his ear today which indicates that his platelet level (clotting agent of the blood) is dropping which is why he needs to have his blood counts done tomorrow. Going forward, the hope is that the course of chemo will decrease the level of disease and hopefully get Jack into remission. Then he will be undergoing another bone marrow transplant in the hope that this will cure him. They are currently searching for an unrelated donor on the bone marrow register, but as we found out a year ago, Joe and Jack have a unique cell in their make up which meant there was no available donor when he relapsed in 2006. So, if they are still unsuccessful, then it may be either me or Rob or an option to test close family, but this is something that we have yet to discuss with Michelle. We’ve only just got firm plans for Jack’s first lot of chemo, as his leukaemia is very uncommon and Michelle has taken great care in deciding the right combination of chemo to use and dosage, as there is always the risk of making him too unwell for transplant, which was proven when he got the lung infection last time round. I know that you will all be thinking of us. Life is a whirlwind at the moment. I’d like to just thank those of you who sent Jack birthday cards and gifts for his birthday. After hospital this afternoon we will be picking Joe up from his mates and heading to the Mall and to Pizza Hut (Jack’s favourite place to eat at the mo!) Nothing like a bit of retail therapy to lift your spirits. Jack has been extremely well. He had a couple of days over Christmas when he had a temperature, but he fought it off, which means his immune system must be back on track. Can I please say a HUGE HUGE thank you to Joseph and Jack’s Post Pal Elves for the lovely gifts they received! To Jack’s Post Pal Reindeers – he was absolutely thrilled to actually receive a card from Rudolph. Thanks also to all those kind people who sent cards and best wishes. Happy New 2008 to you all! We had a brilliant weekend at Center Parcs! The boys were absolutely ‘swimmed out’ by the Monday and we have found out Jack’s bone marrow is clear. Jack had his hickman line out last Friday which is such a huge step in the right direction. It’s just over a year ago now since we found out he had relapsed and during October/November last year I never dreamt I would be emailing with such good news as he was so, so poorly – he has certainly come on leaps and bounds since then. Can you please add this message on the post pals site as I would like to send out a HUGE, HUGE THANK YOU to Post Pals and all the kind people that sent Jack and Joseph cards and gifts during that very difficult time and also to those (especially Helen Brierley, Julie & Alan Barratt and Miss Murphy) who have continued sending them cards and gifts throughout this year. Jack is still in remission and is having his “wiggly” (Hickman line) out on Friday. He is really excited about this as it means more freedom for him and he can start to go swimming again, which he loves. Jack had another bone marrow aspirate on Wednesday and the results are still good, he’s still in remission which is brilliant. Joe and Jack have started back at school this week. Jack was very anxious about going back and also about having his aspirate as he hasn’t had one for 8 weeks, so now that it’s the end of the week, he is feeling much happier and has really enjoyed his time at school this week. Now that we know Jack is still in remission, we are waiting for a date when he can have his ‘wigglies’ (hickman line) out. This means that he can start swimming again and the first place he wants to go to is Centre Parcs, so we’ll be looking at booking something up as soon as possible. Before we went away I had to take Jack up to the hospital to their Thursday clinic for a check up and to meet with our consultant, Michelle. We had a really good meeting with her, there are no further treatment plans for Jack and in her words ‘we’re just going to sit tight’ and keep a close eye on him, with weekly blood tests. At clinic, Michelle also asked for a special blood test to be done to check how much of Jack’s blood is his or Joseph’s. Reassuringly we found out that Jack still has 100% Joseph’s blood which is fantastic as this means his bone marrow is effectively Joseph’s as well. The next bone marrow test will be on 5th September which is the day after Jack starts back to school and then if that test is still clear Michelle wants his lines (‘wigglies’) taken out as they’ve been in for a year now and are always an infection risk. It will mean that Jack will have to have needles again for tests which he will not like but hopefully the tests will become less frequent. He’ll also have another CT scan to check the conditions of his lungs. Jack was discharged from hospital yesterday, temperature has stopped and he is absolutely fine in himself. Not sure what the cause was, but he has got over it and is still in remission which is the main thing. His neutrophils are still below 1 which means he won’t be able to go to school until they come back up, so he may not see his end of year. We also need to avoid busy places or anyone with any infection. Jack hasn’t had much sleep over the past week, so he had a really good lie in this morning and is having a ‘pyjama’ day, playing games with Joe, chilling out and watching DVDs. The CLIC nurse will be round in the week to check his blood levels and we will be sent an appointment to see our consultant at her Thursday clinic to discuss when the next bone marrow aspirate will be and probably CT scan for his lung. Good news regarding bone marrow – tests show still clear of disease which is fantastic. I can’t put down in words the week Rob and I have had, we are so relieved. Still not sure what has caused the temperature but that has settled over last 24 hours and the CRP level in his blood has gone down today which means the antibiotics are working and the infection is hopefully going. Jack’s neutrophils have dropped again today though so we’ve managed to get home for a few hours, but back in hospital overnight so that Jack can continue on the IV antibiotics. Took Jack to A&E on Sunday night as he developed a temperature, tests taken have shown infection and he has no obvious symptoms like a sore throat or cough, in fact he is extremely well in himself and fed up of being in hospital now. On Sunday his blood counts were OK but doctors still decided to admit him as they are taking no chances with Jack. Since then he has been on IV antibiotics, unfortunately his blood counts are not going the way we would like and are dropping and his CRP (level of infection) is rising so another antibiotic was added yesterday. I asked for his bone marrow aspirate to be brought forward as it was due next week so they fitted him in yesterday and we will get the results today – feeling extremely anxious but by the end of today at least we’ll know whether or not we are dealing with another relapse. Please keep everything crossed for us today. We had a long day at the hospital on Wednesday when we went in for Jack’s bone marrow aspirate, but it was worth it as the results show that he is still in remission, which is fantastic. His neutrophil level has been low for the last couple of weeks so he had some GCSF to give them a boost. His neutrophils could be dropping due to Septrin which is a medicine he has to take on weekends only. More blood was taken on Wednesday to run a special test; this will tell us whether or not he can stop the Septrin. We are also waiting for another CT scan appointment to check the condition of his lungs. Not sure when Jack’s next aspirate will be as Michelle mentioned spreading them out a little bit more but we will let you all know in due course. Jack had another bone marrow aspirate on Wednesday and we found out yesterday that it is still clear of any leukaemia. This means he has now been in remission for 6 months which is absolutely brilliant!Thank you to those kind people who are following Jack’s story though the Postpals website and for the cards and gifts, as he looks forward to getting them when we visit the hospital and as soon as we get to daybeds he asks the ward clerk if there is any post or parcels for him. Also thank you for the gift I received, Jack was well put out that a parcel had been delivered to the hospital for me rather than him, I had quite a laugh about it with the nurses – his face was a picture! Jack’s CT scan showed no improvement on his lungs since the last one so we are continuing with the oral medicine and they want to rescan again in a few months time. It may be that he is left with scar tissue but our consultant wants to be sure there is no fungal infection left. Bone marrow aspirate is due on 9th May, so everyone keep your fingers crossed please. Oh and we have got a new puppy called Heidi! Well those 3 weeks have gone pretty quick – Jack had his bone marrow aspirate done on Tuesday morning and after an anxious couple of days wait we found out this afternoon that it still looks clear of disease. Michelle, our consultant, was unable to tell herself as the sample they took on Tuesday wasn’t very good so she had to wait for the results from the lab where they obviously carry out much more intricate tests and they confirmed that the MRD test (minimal residual disease) was still negative which is brilliant. Michelle’s unsure as to whether it’s what Joseph donated just before Christmas working at keeping the disease at bay, as there is no outward evidence like Graft Versus Host Disease, or it could still be the chemo Jack had as it was so intensive. Whatever it is, I just hope he keeps on proving us all wrong as he has certainly beaten the odds to be where he is today and to be so well. I took Jack for another CT scan on his lungs today as well so we’ve had a fairly busy week – we’ll get the results when we’re next in hospital which is next Monday. I had to take him to the BRI for his scan and he was the only child waiting today so when the radiographer came out and said “well you’re obviously Jack Banks” he said “yep” and got off his chair. I started to collect up our stuff and he just carried on walking and said “I’m going in on my own mum” and off he went and I just sat back down, redundant! He certainly made all the other people laugh and I just said “he’s pretty used to it and will probably tell them what to do!” He often says to me when we’re on our way to the hospital “if we can’t find anywhere to park today then just drop me off at the door and I’ll meet you on daybeds” – obviously I don’t, but I bet if I did he would find his way up to the ward! We had a good Easter weekend, took the boys to the fair at Bath Park on Good Friday and then spent Saturday and Sunday at our friends in Portishead. Rob even managed to get a game of golf in on Sunday morning. Good news again about Jack’s bone marrow aspirate taken last Wednesday; it’s still looking clear of disease. Thursday night Jack started to get a temperature, so I rang the ward and we took him into A&E where they did the usual taking of bloods from his lines to check for a line infection and started him on antibiotics. We were admitted onto the medical ward at about midnight as there were no beds available on oncology. The following morning they took a sample from the back of his nose as he has had a bit of a cold about him for a couple of weeks and the tests they ran showed that he had developed the flu so he was put onto another oral medicine. His temperature was still up on Friday and they continued with the antibiotics as the results for a possible line infection would take 48 hours. On saturday he was much better in himself, his temperature was a bit more stable and he was eating and drinking. Today he was pretty much back to his normal self, just a bit of a cough and blowing his nose a lot. No temperatures since last night and no sign of a line infection so they discharged him and he is now at home chilling out and playing on his Xbox. We’re back in on Tuesday for a check up. We have to go to the clinical investigation unit as he is not allowed on daybeds until they are sure he no longer has the flu. They will have to take another sample from the back of his nose which isn’t a very pleasant procedure. We’re able to give him calpol at home if he does get a temperature and provided he doesn’t get any worse he can stay at home. His birthday went really well last weekend, he had (a very much deserved) brilliant time at his party and got loads of pressies! Update 28th February 2007Jack was due his bone marrow aspirate today but he wasn’t booked in the diary on daybeds so it’s been put back until next Wednesday. This is a bit of a blessing in disguise as it means that we can look forward to his birthday which is on Sunday without worrying about any results this week. He is getting so excited, we’re having a party for him and he has lots of friends coming which, to him, means more presents! Hospital visits are about twice a week, with an extra visit on the weeks that his bone marrow aspirate takes place. He has remained well, has a lingering cold but that’s the norm for kids at this time of year and also, his neutrophils are being kept above 1 which means he is able to fight it better. His last CT scan showed some slight improvement to his lungs but its not fully recovered, one of our Drs said that it can take ages for the lung to fully recover and that Jack needs to continue with the oral antifungal medicine and he will have another scan in about 6/7 weeks. They are being very cautious with going forward with any further treatment as they don’t want to aggravate what is still on his lungs causing things to flare up again. I just keep on thanking our lucky stars that he is still in remission and able to lead as normal a life as he possibly can. He went to school today, reluctantly, as he hasn’t been for a couple of weeks, but once he got there he had a really good day. I’d just like to send a huge thank you to those people who have been following Jack’s story on the Post Pals website and have already been sending him birthday cards and gifts in the post. He was thrilled when he received a couple of packages at the hospital yesterday, its just lovely to see his face light up when he gets something through the post. Also big thanks for the cards that Joseph has received as well – it’s heart-warming to know that people we’ve never met are also thinking about our boys. Jack had his bone marrow aspirate yesterday and Michelle, his consultant, rang me this evening to say that his bone marrow still looks clear of disease which means he is still in remission which is absolutely fantastic. The two weekly aspirates don’t half come round quick and it’s a really anxious time for me and Rob but so long as we keep getting good news we’ll just keep on going. We are still going into hospital every other day for blood tests and he is more often than not receiving GCSF as well which is the drug that is keeping his neutrophil count up so that his lung infection doesn’t flare up again. He will be having another CT scan in a couple of weeks to check out his lung so fingers crossed that will show the infection has completely gone which will mean one medicine less for him to take.Jack is extremely well in himself, his hair is growing back, not quite his usual colour and really soft but at least he is happy to go without a hat now. He has a really good appetite as well and has gained weight, he is pretty much back to his weight he was when he started his treatment last September. As soon as his neutrophil level in his blood starts to stay up without him needing GCSF we hope to take a short trip to EuroDisney. Good news again this week – bone marrow test still showing Jack is in remission – hurrrrrrrraaaaaaahhhhhhhh! Jack went to school again today – only 1 day this week as his neutrophils would have dropped by tomorrow and as he’s not due in for blood tests until Friday now I’ve decided not to chance sending him for another day. Our consultant, wants to have a chat and as its always so hectic and so many interruptions on daybeds we’ve not spoken to her properly for a few weeks and we need to discuss a few things and how they plan to progress with Jack’s treatment, so they’ve booked me an appointment during her clinic afternoon. I’m going on my own as Rob started back at work today, a 12 hour shift and he cycled! Jack is going to spend the afternoon with Grampy so if the weathers OK they can take Whiskey (Grampy’s dog) for a walk. Jack is still going along OK; he actually went to school on Tuesday and Thursday. Initially he was going to go for the morning on Tuesday and I stayed as it’s a new school to him and I was anxious about playtime because of his lines as we have to be so careful with them. He was so excited about going and was full of it when he went in, all I could hear in the cloakroom was kids saying ‘Jack is back, look there’s his mum!’ Anyway, he got through his first morning and we came home for lunch as his home tutor was due in the afternoon but she rang to say she was unwell so we asked Jack if he would like to go back for the afternoon, so I took him back but this time never stayed as the afternoon at school is short and there is no playtime. When we picked him up he was really happy and had a lovely time – its great as his new teacher is really nice and I know I can rely on her to keep an eye on him as he is going to find it difficult keeping up with what they are learning in class as he is only able to go a couple of days a week due to regular hospital visits. I will be going to and from school a lot as I need to be there during playtime, bring Jack home for lunch and then back for the afternoon but he tends to concentrate more in lessons when I’m not there! Still, I can honestly say I never thought I would be taking him to school for at least another year and it’s just great to see Jack back with his classmates as he really missed them. Bone marrow aspirate is due on Tuesday rather than Wednesday, he is on the morning list so I am really hoping we find out the results that day as well. Rob is going to go back to work on Wednesday and we’re kind of getting back to a bit more normality at home which is good for Joseph. It means we can spend more time helping him with his homework as its must have been so hard for him before Christmas what with starting secondary school, us being in the hospital with Jack so much, and basically not getting the support he needed but he has settled in really well and has lots of friends! We’ve actually had our first weekend off from visiting the hospital in a long time. Jack’s CT scan showed more improvement with his lung, he still has a small amount of infection at the base (apparently fungal infections take forever to clear up) so Michelle, Jack’s consultant, has stopped the daily anti fungal drug that we had to go into hospital for and Jack is just continuing with the oral anti fungal medicine which he takes at home. Will still be in hospital a few times a week for blood tests to ensure his counts are OK and to ensure his neutrophils stay above 1 which means a drug called GCSF through his line when needed. Not had chance to speak to Michelle about Jack’s bone marrow aspirate but as I said previously, the lab’s initial look showed that he is still in remission which is what we want. We will talk to her a bit more tomorrow hopefully. Jack asked Michelle if he would be able to go back to school so I’m going to be speaking to Jack’s teacher. We still have to make visits to hospital for blood tests but he is really missing school and his friends so it will do him good if he could do a couple of mornings a week. I’m hoping I can go along with him, not to get in the way but to help out where I can and keep an eye on him as we need to be careful with his lines especially at playtime. He is also getting a home tutor as well for a few hours a week so we’re keeping him busy! Nothing else to report until the next bone marrow aspirate which is due in a couple of weeks, its like being on a roller coaster, you’re up when you find out its a good result and then you start coming down when the next one is getting closer – very anxious times for me and Rob. Jack had his bone marrow aspirate yesterday. His consultant never got around to looking at the sample today before she started her afternoon clinic but had spoken to lab who on initial testing says that it still looks good which was a huge relief. He also had CT scan this morning for his lung infection so tomorrow we will hopefully be speaking in more detail re bone marrow aspirate and scan. If lung looks clear then he can come off his daily anti fungal drug which may mean we can cut down our visits to the hospital. Will keep you all posted if we hear anything else but for now he is extremely well, in good spirits and just doesn’t stop talking! We’d have him no other way! We are still in hospital every day for the anti fungal drug which is now starting to get Jack down a bit as he just wants to be able to get up in the morning and play. At least the traffic is better this week, its only taking us 15-20 minutes each way rather than an hour or over. The bone marrow aspirate to check if he is still in remission is due next Wednesday (3 Jan) and the CT scan to check lung infection is in about 2 weeks. We took the boys in for 12 noon yesterday and after a very long anxious wait for Joseph he went under an aneasthetic at about 5pm (they told us 4pm but you always have to add at least an hour onto NHS time!). He was really good even tho he was really worried about the whole thing and he had a pre-med which made him very giggly but because they took so long to call him in it had started to wear off so he did struggle a bit when they were using the mask to put him to sleep. His recovery was awful, he was completely out of it, trying to pull out the canular in his hand and telling everyone to just leave him alone, he just finds it so hard to cope with the whole hospital thing and he just wasn’t ready to wake up, I had a real struggle to calm him down but once he did he slept for about an hour whilst he was transferred up onto the bone marrow transplant unit to spend the night. He woke up feeling really sick and hungry as he hadn’t been able to eat anything since 9am in the morning and the after effects of the aneasthetic made him feel nauseous. Jack then came into daybeds at 11am this morning to receive his antifungal. Joseph and I left BMT at the same time so met Jack and Rob there. Jack then received Joseph’s blood at 1.30pm which took 4 hours to infuse as they had decided not to remove just the lymphocites as the boys are both the same blood group as well, I guess it meant that Jack would get every last one rather than lose some during the process of removing them. So another long day, we got home at about 6.30pm – I had brought Joseph home earlier in the day and he spent the afternoon with grandad and I went back in to sit with Jack and Rob. Its now a waiting game as what Jack had today can take up to 12 weeks to take effect so he will be having a bone marrow aspirate done every 2 weeks. We also have to look out for lots of side effects and if he starts to feel unwell then we will need to take him straight into hospital. Tomorrow we only need to go in for Jack’s antifungal so that will be the morning taken up which will seem a short day on daybeds for us. Hopefully we won’t be in hospital on Christmas day or Boxing day as our consultant is happy to let Jack miss a couple of doses of his antifungal medicine (he is still taking another oral one) as his lung is so much better and he has total air sound on the right now which is a good sign that his lung has recovered well. Thanks for all the Christmas cards and presents we’ve been receiving and hope you all have a Great Christmas and New Year. Jack was discharged from the ward on Monday. We stayed in a bit longer than expected as Jack started to get a bit of a temperature which thankfully never came to anything and he wasn’t eating, so he had a couple more nights on TPN. We’ve actually managed to have a couple of nights at home and hope to have a few more. He is very well in himself and is very much back to his old self, v cheeky and full of energy. The lung infection hasn’t completely cleared as it takes weeks to treat a fungal infection, so we have to make daily visits to the hospital for one of his anti fungal drugs which takes an hour infusion through his line. He is also on another anti fungal which he can take orally along with a couple of other oral meds he has to take. We were hoping to have spoken to Michelle, our consultant, before today about going forward but she was waiting for views from consultants in Birmingham and Great Ormond Street. Apparently there have been lots of complex conversations about Jack and what would be the best next steps for him, keeping in mind that his lung hasn’t completely recovered yet. Anyway, as there is no ‘good match’ donor out there for another full blown transplant, as part of his tissue type is unique to just him and Joseph, the plan is to do another bone marrow aspirate to see if he is still in a good remission next Tuesday and then proceed with a couple of doses of chemotherapy. They shall take blood from Joseph (not a huge amount but enough to make him unhappy as he is completely needle phobic), send it off to extract T-cells and then transfuse this into Jack. Hopefully this will have the same effect as when Joseph donated the bone marrow last time but there are no guarantees. It will be a long process, about a couple of months, for the T-cells to take effect so during this time they will monitor Jack’s bone marrow very closely (every 2 weeks) to see whether any leukaemia starts to reappear before the T-cells start to really work. Should the leukaemia start to come back then we will proceed to a bone marrow transplant where I will be the donor. Even though Jack and I are different blood groups it doesn’t matter as Rob and I are both a half match and as Rob is the match for granulocytes it makes sense to use me for the transplant as they will use Rob’s granulocytes to keep Jack’s neutrophils up to help prevent him becoming too ill with infections. It’s all so complicated and it’s almost impossible to try and explain it as its hard enough for us to understand fully. The ultimate aim is to cure Jack and to do this he has a very long way to go. Again, thanks to everyone who has been sending cards or emails. Good news with regards to the bone marrow aspirate yesterday – our consultant, Michelle, has confirmed that Jack is in remission following his last course of chemo. Last night she took a look at his sample and said that there was about 5% of disease left and today, after speaking to the lab who look at it more closely, it looks like there is even less disease there than that – in fact he is in a better state of remission than last time round! Jack now needs to get over this lung infection as at the moment he is not well enough to go through with a full blown intensive bone marrow transplant involving radiotherapy which was the plan initially. However, we still have options and we will be discussing these further with Michelle next week. Michelle has spoken to the main bone marrow consultant in Bristol, Jackie Cornish, who dealt with Jack last time round and she is also going to email haematology/bone marrow consultants in Great Ormond Street and Birmingham to get their views on what they think would be the best way forward for Jack – she feels that getting a more objective view from other experts who don’t actually know us may help us reach a decision as to what we do next ensuring its the right thing for Jack. Obviously we can’t leave it too long before Jack goes ahead with some form of transplant otherwise his leukaemia will start creeping back and we will be back to square one. Three weeks max is our limit which will hopefully give Jack’s lung time to completely recover as there is still some collapse and infection there. He has to do breathing exercises which hopefully will make him cough more and help to disperse whatever is there. Also, this will allow us time to discuss what options we have in going forward to ensure we give Jack the best possible chance he has of beating this. We moved beds yesterday out onto the open ward as Jack is so much better and someone else needs a room. It’s good though as Jack has made friends with the two other boys there, Henry and George, and this morning when I went in they were all sat on Jack’s bed playing. I have to say its the best Jack has been for months, its just great seeing him like this as 2 weeks ago he was just so poorly – what a fantastic turnaround, I’m so proud of him. We’re also able to come home during the afternoon now and once Jack starts to drink and eat more then I think he will be taken off the TPN, discharged from the ward and treated daily on daybeds with his anti fungal meds. He’s having another chest x-ray done in a weeks time to see how things are improving. It’s good to know that Joe can have some time with Jack at home this weekend as well. Jack is continuing to recover well from his chest infection and is now off all antibiotics. He is still on 2 anti fungal meds and TPN, but tomorrow they plan to take him off his drip for a few hours which means we may get the afternoon at home – just need to be back in by 6pm. He is also off oxygen day and night although his breathing is still slightly abnormal. Jack has been reluctant to leave his room since he has been feeling a bit better but today he was off his drip for a couple of hours so we got him to playroom for an hour. While there we had a visit from a Golden Retriever called Harvey who is one of the pets allowed in as a kind of therapy for the kids in the hospital. Thursday is a big day as we have CT scan booked at 9am to see how Jack’s right lung is recovering and then in the afternoon they are going to perform his bone marrow aspirate which will tell us how the last course of chemo worked. We are very anxious about this as we are 3 weeks overdue. Our consultant will probably talk to us on Friday regarding the results so then we’ll have more of an idea of what we face next. It’s been such a boost seeing Jack improve every day – he is definitely back to his old cheeky self and each day he is growing a bit stronger. Jack made a deal with Jo, one of our Drs, today – he has been feeling sick quite a bit, he can manage one of the anti sickness meds orally but the other one he just hates so Jack asked if he could have it pushed through his wigglies (central line) and Jo said yes just so long as he ate something. It seems to have worked though as he has managed to eat a small amount today which is a step closer to getting home as well. Jack is still receiving cards every day – we thought we were going to be moved out of our room today onto the open ward so we told Kate, the ward manager, to give us a couple of hours just to take down all the cards! Thankfully plans changed so we’re still in our room and the cards are still all around us. A huge thank you for all the cards Jack has received – he now has about 100 stuck around the walls of his rooms and every day he is still receiving more. He has also had several helium balloons and presents sent to him in the post as well. Its certainly brightening his morning when the post arrives and even the porter who delivers the post to the ward knows who Jack is now due to the amount he gets. Joseph has also received a few gifts which Rob and I have really appreciated as sometimes he can feel a bit left out. Jack is sooooo much better this week. His neutrophils are holding at the moment and his chest x-ray yesterday showed some signs of improvement, our Dr can also hear air sounds on the right lung as well which just wasn’t happening before. He hasn’t received GCSF today which is a drug which stimulates his neutrophils count so we have to wait until tomorrow’s blood tests to see if they hold their own or plummet. He has also been taken off of one of the antibiotics and also changed one of the anti fungal drugs as Jack’s liver functions were slightly raised so hopefully this should settle back down. He is still on oxygen 24/7 but its set much lower and when he has to take the mask off his oxygen levels drop but only slightly, nowhere near as low as they were. Jack still has an upset tummy and is really fed up with this as he is also up a lot in the night but we are hoping this will sort itself out – early tests have shown it’s not a bug but we are waiting on further samples that are being tested just to make sure. It could be a side effect of all the drugs he has received over the past couple of weeks. Also, they’ve stopped his morphine as he is much more comfortable and today was the first day his temperature hasn’t gone up in just over 2 weeks – hurray! Lets keep hoping he improves that little bit more every day – its been absolutely great seeing him smiling – he’s also being rather cheeky which, under the circumstances, he tends to get away with. Still unsure as to when they might want to do Jack’s bone marrow aspirate (to see what the Leukaemia is doing), another anxious time – its now 2 weeks overdue but he has to get over this infection first as its too risky to give him a general anaesthetic – maybe we might see our consultant tomorrow and get more of an idea. Jack’s neutrophils had gone up from 1 yesterday to 2.11 today which may mean his bone marrow is starting to recover. He has had a much better day today, temperature still fluctuating and still got an upset tummy but he has been awake most of the day. He was really tired when I left this evening but really wants to stay up to watch Ant n Dec in I’m a Celebrity – I don’t think its the show so much (although I think he’ll enjoy some of the bush tucker trials!) its just that he loves watching Ant n Dec.
We saw our consultant today and she said that we had had a pretty tough weekend. Jack’s still not out of the woods but maybe today is a sign that he has turned a corner – lets all keep our fingers crossed that this is true. Today was the first time in a couple of weeks I’ve seen a bit of the real Jack, we were having a bit of a giggle and I was actually able to lay on the bed next to him to give him a cuddle which is all I’ve wanted to do but he has been too ill and in pain for me to do so the past couple of weeks – its certainly given me a boost. Jack was pretty much the same all of last week, high temperature and very sleepy. He was given some donor white cells Wednesday and Thursday which started to bring his neutrophils up a tiny bit (0.00 to 0.22). Rob was a match to donate his white cells (mainly neutrophils) to Jack so he went off to Southmead hospital v early Friday morning. To prepare him for this he had a couple of injections on Thursday night and some steroids which made him feel a bit fluey and made his bones ache as the injections were to stimulate his bone marrow into producing more cells than usual. Jack was given these Friday evening and half way through started to have a bad reaction – really high temperature, shakes and heart rate up so they stopped the infusion and gave him some pethadine, piriton and hydrocortisone (please excuse spellings). This calmed him down and after about half hour they stared to infuse the remainder on a much slower rate. We had agreed with the Dr that if he started to react again then then transfusion would have to stop, thankfully Jack didn’t and tolerated the remaining cells well. On Friday Jack’s neutrophil count had jumped right up to 4.86 and he was a completely different child. He only slept for a couple of hours in the day, up watching TV and playing on the laptop. Rob came home with Joseph for the night and Jack settled down to sleep. Just after midnight Jack woke up coughing and brought up a small amount of blood, he was also in a lot of pain with his right side so we boosted his morphine intake which settled him back to sleep. He had his blood counts done again which showed his neutrophil count had dropped to just above 2 and also had another chest x-ray done to see if anything else was happening, thankfully nothing was and they looked pretty much the same to the previous x-ray. Our Dr said to expect some more similar episodes during the night and that if he got much worse then he may have to be transferred to intensive care. He did have a couple more episodes during the night but not quite so bad as the first and not in as much pain. Today he has had an upset tummy and has still been a bit sick although not blood thankfully. His neutrophils are now at 1 and apparently this is normal as Rob’s neutrophil donation won’t last for very long but will help to start to fight off the infection alongside the anti-fungal medicine and also hopefully boost Jack’s bone marrow into producing his own blood cells which is what we are hoping for. Due to all the chemo he has had this time around and previously when he was ill 3 years ago is why Jack’s bone marrow is taking a while to work. A Dr from intensive care also reviewed Jack today as our oncology Dr is worried that because his breathing is so quick and shallow she is worried that Jack will become too tired and wondered if there was any support intensive care could give to Jack. The intensive care Dr was happy with how Jack is going on at the moment as he was comfortable and all his other obs and vital signs are OK and she felt that moving him to intensive care for support would stress him out unnecessarily due to the equipment they would have to use. Jack is still very much with it and even though he may appear to be sleeping a lot he is listening to what is going on and will add his two pennies worth in now and again or ask for a drink. He is very easy to rouse should he need to be, so for now we are remaining on the oncology ward which is a relief. We have been told that all that Jack is going through is part and parcel of fighting the infection he has so I guess if he is starting to get out of bed more and has more movement then it will start shifting things from his chest. It doesn’t make it any easier though having to watch your child go through this awful, awful nightmare. Rob is off to Southmead again on Tuesday and then maybe again at the end of the week so hopefully Jack may show signs of improving. Our consultant has asked us to find out if we have any close family or friends whose blood group is A positive who would be willing to be tested to see if they are match. The age limit is below 50 and you need to be reasonably healthy. We have asked various family members and a couple of close friends but haven’t found anyone yet, apart from a friend of my sister’s, so if anyone is blood group A positive and would be willing to be tested then please let me know. The procedure lasts between 2 to 4 hours with some treatment the night before. Its similar to taking platelets, they take the blood out of one arm, it goes through a machine and what is not needed is transfused back into the other arm. Apparently Rob will only be able to do this about 3 times per month. It might be that by the end of the week Jack improves and we don’t need to look for donors but it would be good to know of anyone who might be willing. Rob and I will be staying in the hospital together now until at least Wednesday as Jack requires both of us to care for him at the moment and with Rob having to have pre-treatment before he donates we both really need to be there. Joseph isn’t too happy about this as he really wants me home, it’s very upsetting but I think he understands and he will stay at my dad and Janet’s for a few days. He did have Thursday/Friday off school last week as he got upset last Wednesday night as Rob and I had been staying in hospital so much so I decided to let him stay off school for a couple of day so he could be with us in hospital and spend some time with Jack. I don’t want him thinking he is being pushed away because if anything were to happen then I would not want him feeling it was his fault especially as he was Jack’s donor originally. It seemed to have helped but it’s an extremely difficult time for all of us and there is just no way that life can be ‘normal’ at the moment for Joseph. Rob and I have both stayed with Jack for the past couple of nights as he has been quite poorly and we were really concerned about him. The doctors have now changed his antifungal drugs and put him on 2 lots and added an extra antibiotic so now he is on 14 different drugs throughout the day – they are having trouble fitting them all in within 24 hours! Joseph stayed with my dad and Janet for a couple of nights. Jack is still really unwell and a third chest x-ray showed today that there is also some fluid build up in his right lung which they may need to drain if it gets any worse. His infection indicator in his bloods reached over 400 yesterday (should be less than 10) but has slightly lowered to just below 300 today which may be a good indication that his body is starting to respond. He is on morphine and oxygen 24/7 and we are still having problems keeping his temperature below 38 even with regular paracetomol, although today there was a slight improvement. He is sleeping a lot due to the morphine. As Jack’s blood counts are not recovering very well they have taken bloods from both Rob and me today to see if any of us are a match. They want to take white cells from us to give to Jack to help boost his neutrophils which are the part of your white blood cells that fight infection. This will be done on Friday at Southmead and our consultant thinks that it could be Rob that is the match as we think there is an indication of what our blood groups are in Jack’s notes from when they tested us prior to Jack’s bone marrow transplant, but they need to do all sorts of tissue matching with what they took today. To save time they have given us both a check up today including an ECG of the heart to make sure we are fit enough to cope with the procedure as it takes a few hours. Basically they take the blood from one arm; a machine extracts the white cells, and puts what’s left back in the other arm. So to boost our own white cells the donor needs to be given a form of steroid and a drug to do this on the previous night. We will find out tomorrow which one of us it will be, could be both which would be good. If it’s neither of us then we have to start testing close family members. In the meantime they are going to give Jack some white cells from the donor blood bank. This procedure will hopefully work but if it doesn’t they have assured us that it won’t make him any worse so we have to go for it. As far as the bone marrow aspirate goes, then this is still on hold – their main concern is to get this infection under control and to get Jack better. Then dependent on what the bone marrow aspirate eventually shows us we can either go forward to bone marrow transplant or get Jack home for some quality time. Its been an extremely long stressful week (if things can get anymore anxious) but he is getting through it and he has received a few cards and packages delivered to the hospital so thanks to all who have done this – it brings a small smile to his little face and lifts our spirits as well. Jack is very poorly, in bed, and is unable to have scans until his condition improves. This means they don’t even know if the Leukaemia has progressed or if the past chemo has worked.